Looking to rent a property in Al Safa instead? Forming the southeastern periphery through interchange No. 2 (Pepsi Interchange) of the residential area, Al Safa is a self-contained community situated in western Dubai. There are only a few residential communities in the Dubai real estate market that are exclusively surrounded by other thriving communities and still providing easy transportation. If we talk about Al Safa then the gorgeous Jumeirah borders the community from the north, in the east there is Al Wasl, the west is bordered by Al Manara while the south of Al Safa is linked to Al Quoz. The properties available for sale in Al Safa are multi-purpose as they offer residential, commercial and mixed-use properties, all in one place. Al Safa offers stunning villas and apartments with varying numbers of bedrooms while for commercial use there are mixed-used lands, residential plots, offices and shops. 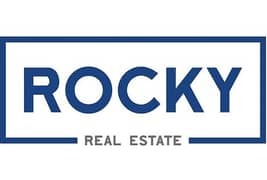 For instance, E & T Real Estate offers various commercial and residential plots such as a mixed-use land for sale that has an average area of about 379,514 sq. ft. The residential properties in Al Safa are distributed among sub-communities of Al Safa 1, Al Safa 2 and Al Wasl Square. The villas are typically available with 5 bedrooms, having the same number of bathrooms, a large living room, a maid’s room and a driver’s room. Additionally, the Al Safa apartments are up for sale in a well-maintained building that offers covered parking, a garden view and a balcony. The Al Safa properties are in high demand due to the location of the community. Communities like Jumeirah are one of the oldest in Dubai and since Al Safa residents can connect to the beach through Jumeirah Beach Road and Al Wasl Road, the value of these properties increases significantly. If we consider statistics the price per area evolution of 5-bedroom villas in Al Safa has gone up by almost 23.66%, increasing the average AED/sq. ft. value from AED 2,272 to AED 2,727 as of October 2018. 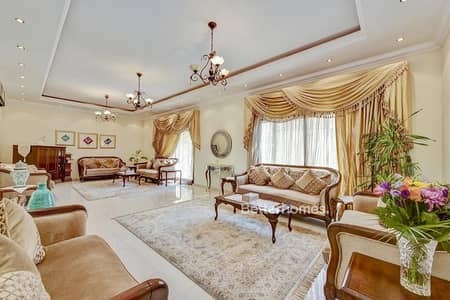 This makes the sale price trend for a villa start from AED 8,500,000 and go as high as AED 30,000,000. The overwhelming prices of mixed-use land in Al Safa starts at AED 204,937,516 which increases over to AED 428,585,040 while the value of a residential plot starts at about AED 18,000,000. The community stretches along Sheikh Zayed Road, putting the residents of Al Safa in direct contact with the trendiest places in and near the community. When it comes to the popular places in Al Safa then the community is home to one of the most popular leisure and picnic destinations in Dubai which is the Safa Park. 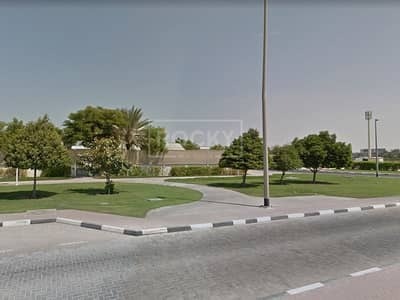 The park is spread across a land mass of 64 hectares which is bordered by the Al Wasl Road, Al Hadiqa Street, Sheikh Zayed Road and 55th Street. Visitors are introduced to over 16,000 different species of trees and flowers and one can walk through a small hill and a forest to look at all of them. Visitors can enter the park through four entrances and witness the glistening waterfall flowing out of the hill and into the lake. Investing in Al Safa is a smart option if you prefer a family-oriented environment that has quality schools for your children and world-class health facilities, retail shops and leisure spots for you to relax in. Shopping centres such as Oasis Mall, Organic Foods & Café, Spinneys Umm Suqeim Centre and Union coop Um Suqeim are present in the vicinity of the community while recreational facilities such as the Panda Boo, Splash ‘n’ Party, Miraj Islamic Arts Centre and Jumeirah Public Beach are also in close proximity as well. I am looking for Properties for sale in Al Safa, Dubai, UAE. Please let me know about any suitable properties you have. Thank you.